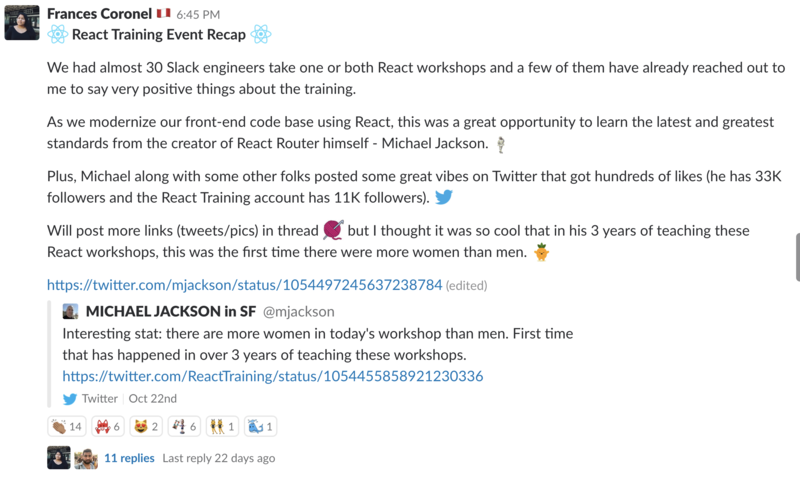 I helped setup React training with Michael Jackson, the creator of React Router, at our SF 22 office. 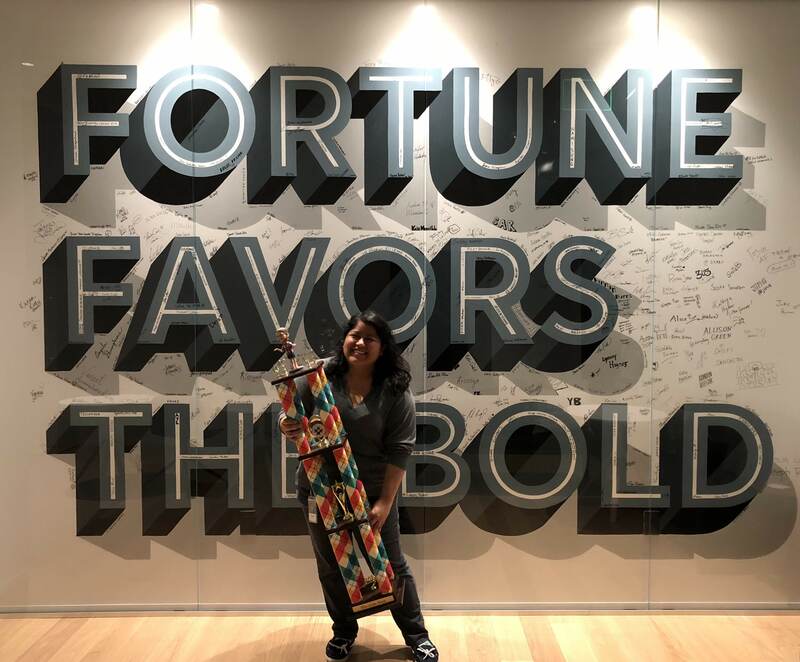 The point of WOTW is to increase visibility of, and to some extent socialize the possibility of, big wins coming from regular, solid, individual efforts on non-herculean scope. Unlike large, heavy launches, these happen pretty often, and are often the result of a single change, not always by a highly visible or well-known individual. At risk of being under-recognized.